Despite significant changes to the examination system including more difficult exams and reduced coursework, and turbulence expected nationally, students at Goffs have secured an incredibly strong set of outcomes this year. 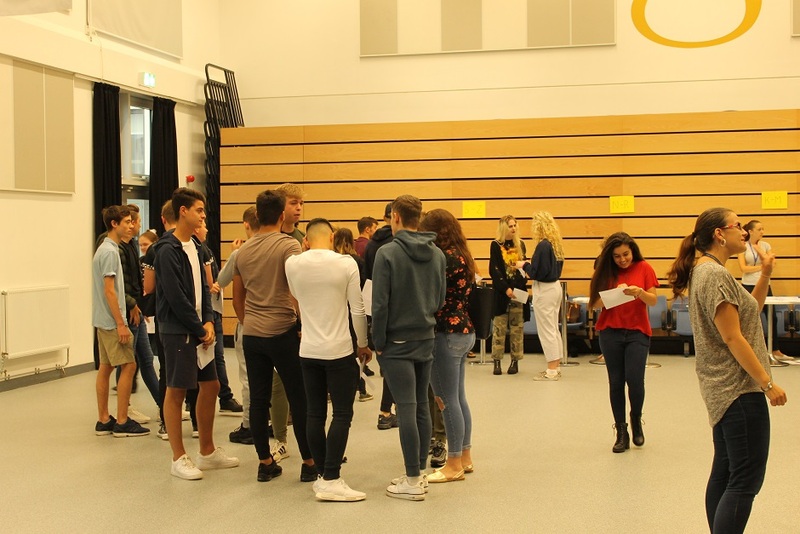 English and Mathematics results remain excellent in their second year of the new course, and the majority of outcomes in other subjects are better than expectation for ‘strong’ passes at Grade 5, as well as for top end grades. There are some absolutely outstanding individual student performances. 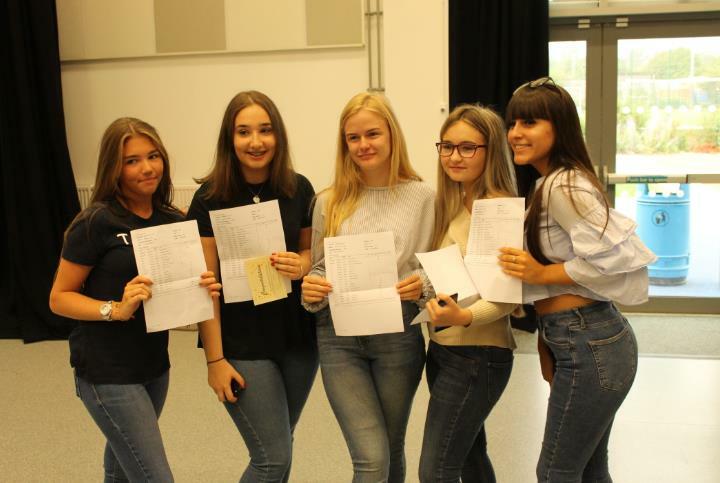 Congratulations to Yasmine Abdelmoula, Rebecca Foster, Lauren Lee, Maddie Maghie, Kai Moonesawmy, Kate Maria Ortega-Bohlin, Niral Shah, Max Sheridan and Nicole Welch who all beat their target grades in 10 or more subjects.38 students achieved an impressive 6 or more qualifications at grade A- A*/7-9 with 13 being awarded ten or more. Of particular note are Keziah Chalk, Antonio Constantinou, Alexander Edgecombe, Farrin Haque, Marc Harvey-Hill, Nicholas Mannan and Max Sheridan who achieved twelve or more grade 7s or higher, with Nicholas, Marc and Max also achieving a phenomenal nine, six and six of the new top Grade 9s respectively. The vast majority of students will move on to Goffs’ highly successful Sixth Form, gaining places alongside a large number of external students, to study qualifications from our broad range of more than 30 academic and vocational subjects. 13 students have qualified for the Goffs Scholarship Programme, which entitles students with the very top grades to £200 to spend on educational resources of their choice, as well as many other benefits. I am hugely delighted with this year’s outcomes; students and staff worked tirelessly in preparation and it is fantastic to see them achieve the grades that they deserve. It has been an absolute pleasure to work with such dedicated young people, and it is great that they can now progress on to their planned next steps, with the majority staying with us into our Sixth Form. 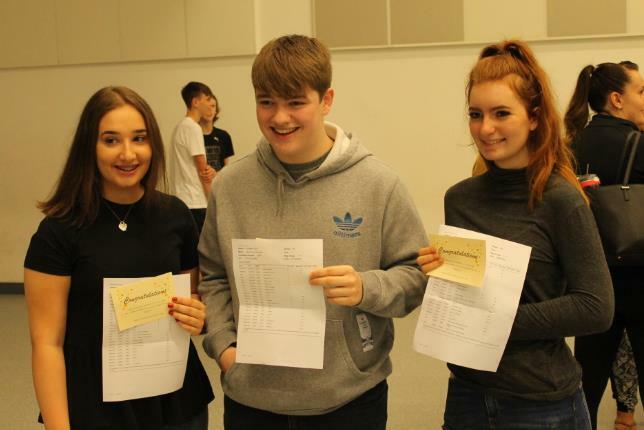 Our students have performed exceptionally well in their Key Stage 5 results this year. 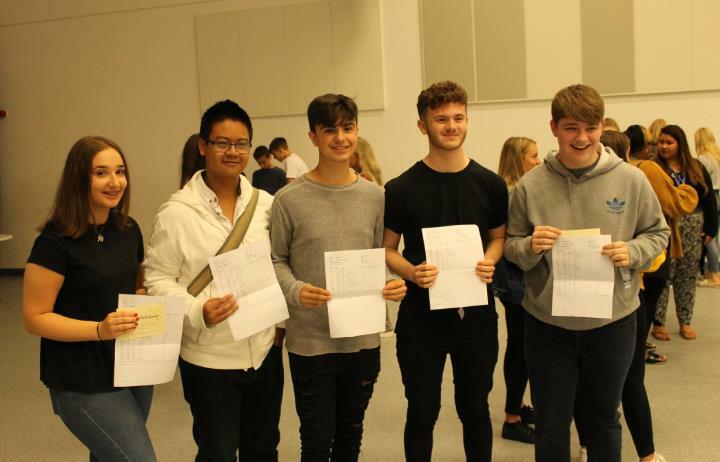 Over half of all A Level grades were at B or higher, and 1 in 5 grades at A Level were at A or A* - the highest proportion achieved in recent history. For Vocational courses, over half of the grades achieved were at Distinction or Distinction*. Around three quarters of the year group will progress to university or further education courses including History, Criminology, Accounting, Law, Mathematics, Economics, Sports Journalism, Fashion, Acting, Sociology, Architecture, Clinical Studies, English Literature, Geology, Geography, Chemistry and Medical Engineering, to name but a few. Universities being attended are wide-ranging, including Sheffield, Bath, Lancaster, Manchester, UCL, Warwick and Cardiff. Many students will also be joining top flight apprenticeships, such as at Ernst & Young and Mindshare or moving directly into planned employment into careers including the Fire Service and the Army. 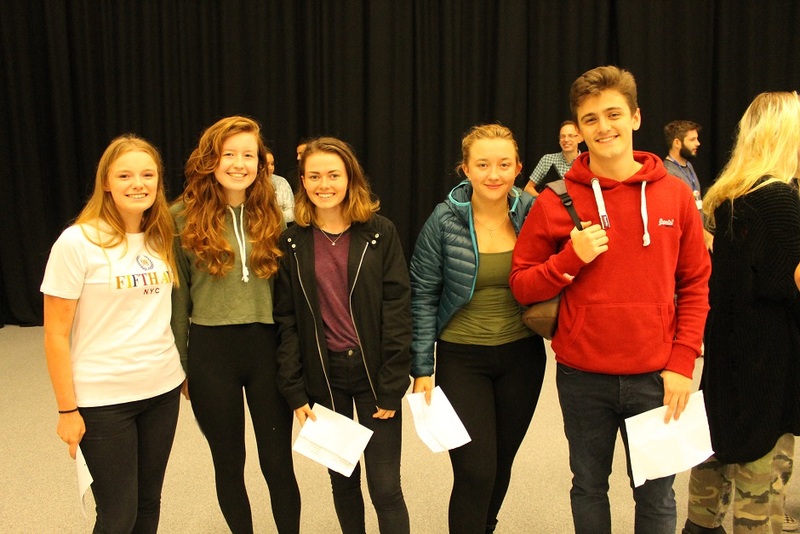 Just a few of our many students who have performed remarkably well, include Alex Coombe, Megan Horridge, Tara McCormack, George Sexton and Megan Sheridan, who all achieved 3 or 4 A or A*grades at A Level. 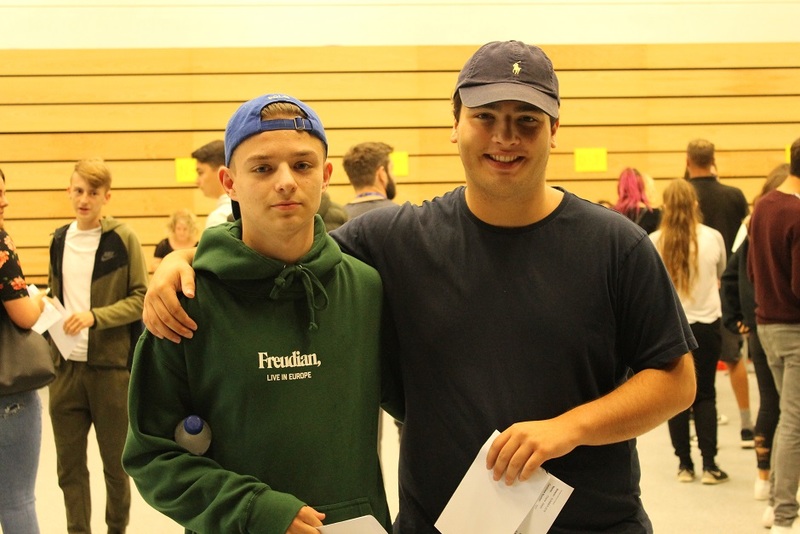 Luca Franciosa achieved exceptional outcomes with 4 A* grades in Computer Science, Mathematics, Further Mathematics and the Extended Project Qualification. Despite such large numbers of new specifications being examined for the first time this year – over 20, I am delighted that Goffs students were able to achieve such excellent results, enabling the vast majority to move to their planned next steps. Both students and staff have worked incredibly hard to get to this point, and the outcomes are truly well-deserved. It has been a pleasure to watch our students grow into the upstanding and aspirational young adults that they now are, and I am sure that they will progress on to many future successes. Goffs Students: Megan Sheridan, AAA, Katherine Aiton, A*AB, Tara McCormack, A*AA, Tegan Wollaston, AAB and Luca Franciosa, A*A*A*A* who is going on to study Computing at Imperial College, London.